Since the early twentieth century, scholars have researched leadership and it is one of the most researched topics of our time. Understanding how to be a strong leader and what makes a good leader is something that we continue to strive to understand. Research ponders various positive leadership models such as transformational, servant, authentic, charismatic, situational and ethical leadership to name a few. Yet, we find that a small number of our leaders are truly transformational. While scholars continue to provide examples of positive and influential leaders, we still struggle to understand what a dysfunctional leader is. Practitioners and followers are quick to identify a leader that is a nightmare, yet they can't name what type of dysfunction that leader possesses. Day in and day out, we struggle with these leaders and how to intervene when dysfunctional behavior arises. This is most evident with recent scandals that have plagued the media involving characters such as Bernie Madoff, Dennis Kozlowski, Tyco, Enron's Kenneth Lay and Jeff Skilling. It is vital to understand the importance of dysfunctional leadership and its impact on organizations, followers and society. 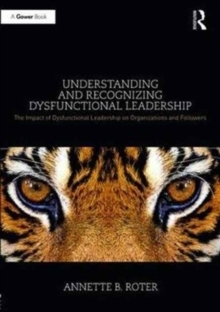 The recent literature focuses on the psychology of dysfunctional leadership and the destruction of organizations. Little has been written in relation to the characteristics, traits and behaviors of dysfunctional leaders. 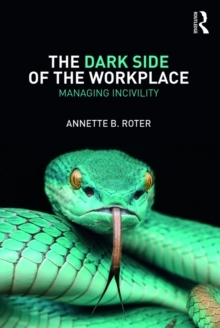 In addition, little has been included on how to deal with this types of behavior within organizations. Individual books have been written on each of these types of characteristics, but no one book has been written that focuses on all of these characteristics and studies the subtle differences of these behaviors, interventions that can be employed to address this type of behavior and how to recognize the impact on our organizations. 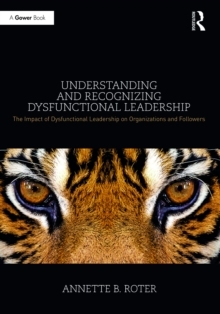 Understanding and Recognizing Dysfunctional Leadership will be of interest to professionals and researchers in this field.